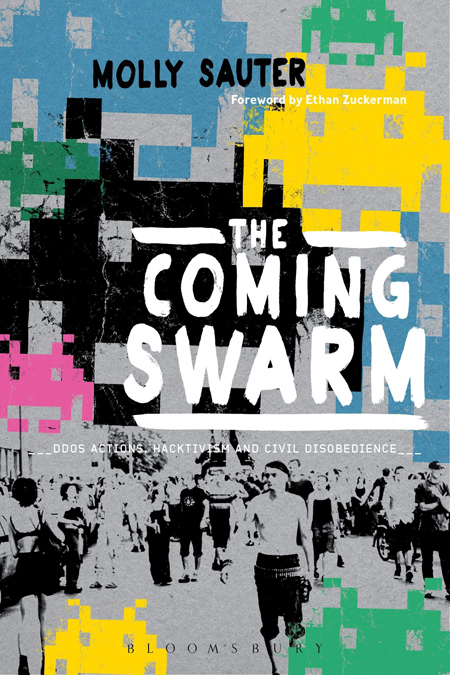 In her new book, The Coming Swarm: DDoS, Hacktivism, and Civil Disobedience on the Internet, Molly Sauter examines the history, development, theory, and practice of distributed denial of service actions as a tactic of political activism. Together in conversation with journalist and activist Laurie Penny, Molly will discuss the use of disruptive tactics like DDoS, online civil disobedience, and the role of the internet as a zone of political activism and speech. There will be a book signing following the discussion. Laurie Penny was born in London in 1986 and is not dead yet. She is, in no particular order, a writer, a journalist, a public speaker, an activist, a feminist, a reprobate and a geek. She is Contributing Editor of New Statesman magazine and Editor-at-Large at The New Inquiry. Her fourth book, Unspeakable Things, was published by Bloomsbury (US/UK) in 2014.